There’s still a long way to go until the final season of Game of Thrones airs, fam. We have at least another year until the unspecified 2019 release date is here, which means another 12 to 23 GoT-less months to get through. However will we make it? More: Is Sophie Turner’s New Movie Character Even Stronger Than Sansa Stark? Well, besides hungrily devouring every fan theory we can find online, we’re keeping our eyes peeled for leaks from the set. And finally, the first Season 8 leak is here. Don’t worry about averting your eyes, because the photos that got out don’t give too much away. A fan Twitter account got ahold of some sneaky pics of filming, which is currently taking place in Croatia according to the tweet. That’s not too far-fetched since a lot of GoT has been filmed on the shores of the Adriatic Sea in Croatia and surrounding countries. The photos show Kit Harington (Jon Snow) and Lena Headey (Cersei Lannister) filming at the seaside location. There are also a number of crew members in the shots. But other than proving that HBO is actually working on the final season, these pics don’t give much away. We already know that besides having to wait basically forever for the end of the series, the final season will be only six episodes long. 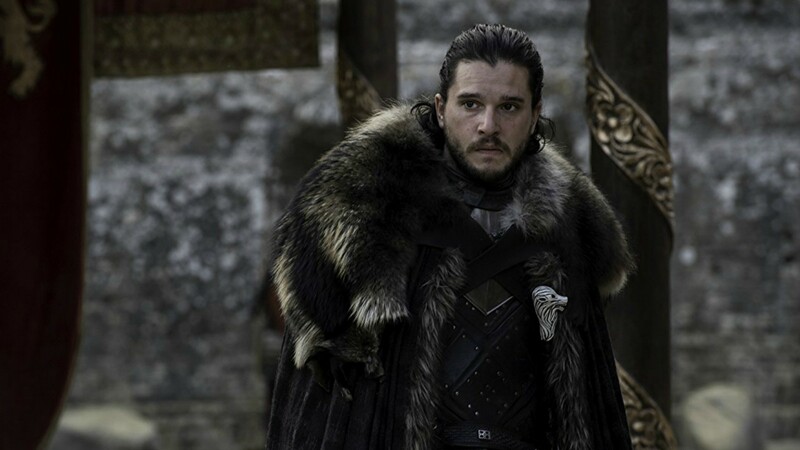 That lends a little bit of credibility to the rumors that say each episode will be feature-length, which would be plenty of Game of Thrones to wrap up the various storylines and plot arcs that are still in the air heading into Season 8. Other than that, though, there’s just a lot that remains to be seen. HBO is locking this show down to avoid leaks and spoilers, so we may just have to deal with waiting.